Since their first exhibition at Heller Gallery in 1986, we have had the privilege of representing the exquisite turned wood forms of the highly acclaimed Moulthrop family who have made lathe-turned wood vessels over three generations – Ed (1916-2003), Philip (1947) and Matt (1977). We have helped usher their work into dozens of museums in the US and numerous private collections internationally. The Moulthrops’ understated modernist forms derive richness from their impeccable craftsmanship and deep knowledge of the material. Sourcing salvaged trees from the Southeast of the United States, they turn the wood’s age and flaws into design. 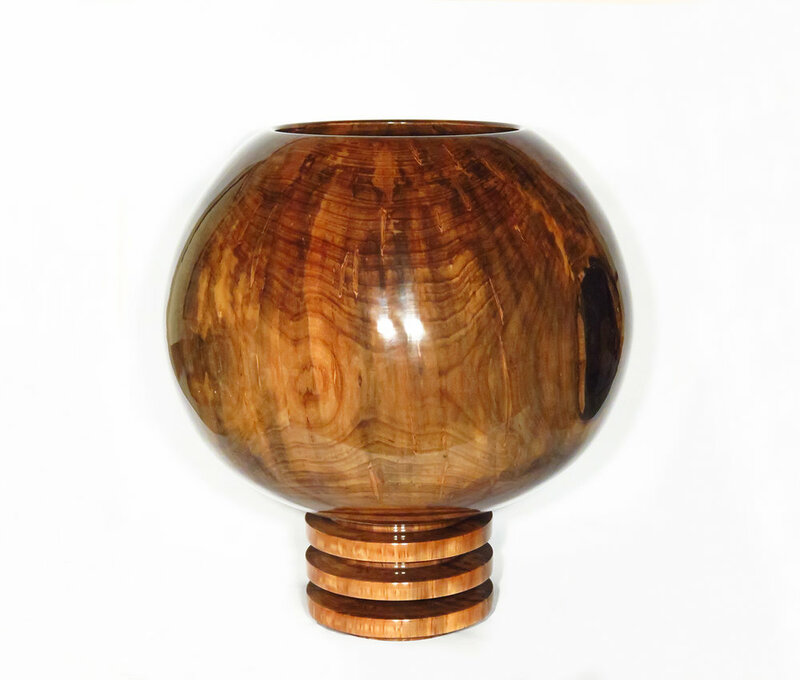 They find the sublime in the seemingly simple wooden bowl. The White House Collection of American Crafts, Washington, D.C.